The Retired Public Employees Council focuses on issues important to retired public employees. These include, but are not limited to the full funding of pensions, cost-of-living adjustments (COLAs), erosion of purchasing power, rapidly rising health coverage costs, access to health coverage, retirement age, and more. RPEC took a leadership role in promoting the following accomplishments, most of which required lobbying the state Legislature for new legislation. 2014-2015 – defeated efforts by the Legislature to create a Plan 4 pension that would undermine current pensions and cost the state a significant amount to set up. 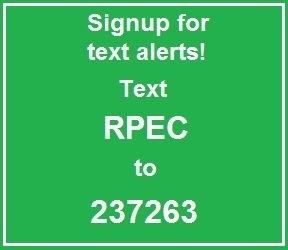 2013 – RPEC successfully fought to keep the subsidy for retirees who have access to health insurance through PEBB, and worked in coalition to prevent the creation of a PERS 4 plan that would have created retirement insecurity. This fight continues. 2012 – We succeeded in getting legislation that created a health care authority ombudsman in the Office of the Insurance Commissioner. This legislation establishes the volunteer position of health care authority ombudsman within the office of the insurance commissioner to assist retirees enrolled in the public employees’ benefits board program. We succeeded in turning the pending lawsuit against the State of Washington into a Class Action Suit. We received a summary judgement on the pending lawsuit stating that the Court ruled that the repeal of the UCOLA was illegal. The pending lawsuit continues into the appeals process. 2011 – We filed a lawsuit against the State of Washington to overturn the Legislature’s decision to eliminate the Plans 1 Uniform COLA and to restore the COLA and/or having the COLA added to the gain-sharing litigation. 2010 – We succeeded in requiring the Health Care Authority to document, analyze and report complaints filed by those who purchase health coverage through the Public Employees Benefits Board. This is part of our on-going effort to improve the quality of service retirees receive for the coverage they purchase. 2009 – We succeeded in getting legislation securing the Department of Retirement Systems cooperation in doing “blind” mailings to system members eligible to join certain public retiree groups. The mailings are called blind because no personal information is divulged in the addressing of the envelopes for the mailing. This legislation was essential to our outreach efforts to new members. 2008 – Our efforts to make group health care coverage available and affordable to those age 55 and older who leave state service without retiring and providing an open enrollment period for retiree who may have dropped their PEBB-sponsored coverage fell victim to the state’s budget woes. 2007 – We fought back an effort to repeal gain-sharing without a replacement benefit. We succeeded in getting Plan 1 retirees 40 cents per month per year of service, or 87 percent of the future value of gain sharing. We succeeded in getting legislation to allow members of Plans 2 and 3 who have 30 years of service credit to retire at age 62 with full benefits, and reduced the early retirement reduction factor (ERRF) for those between ages 55 and 62. We succeeded in changing eligibility requirement for the Plan 1 COLA so those who have been retired at least a year get their COLA the year they reach age 66 rather than in they are age 66 before July 1. 2006 – We expanded the $1,000 minimum benefit to include those who have been retired 25 years and have 20 years service credit. We secured legislation to establish minimum contribution rates for pension funding. We fought off efforts to repeal gain-sharing without a replacement benefit. 2005 – We succeeded in getting a retiree added to the executive committee of the Select Committee on Pension Policy so we would have a voice where decisions are made about legislation. We supported passage of a prescription drug consortium, to help reduce the cost of prescription drugs. 2004 – We secured a minimum benefit of $1,000 per month for PERS retirees who have been retired at least 20 years and have 25 years service credit. We fought back efforts to repeal a requirement that political subdivisions make available a group health plan for retirees and providing an information and assistance program for the individual market. We strengthened pension system funding through a new law that restricts wide fluctuations in employer contribution rates. 2003 – We fought for an independent pension board with fiduciary responsibility to the beneficiaries to govern the pension systems The Select Committee on Pension Policy included retiree members. We supported legislation for state program to control prescription drug costs. 2002 – Passed legislation requiring political subdivisions to provide retirees access to group health coverage. 2000 – Decreased the early retirement penalty for eligible PERS 2 members from 8 percent to 3 percent for each year under age 65. 1999 – Passed legislation to allow retirees a representative on the pension funding board. 1998 – Passed legislation granting retirees a share of pension fund excess profits. Enactment of the “pop-up”, which returns a retiree’s benefit to its original level when a designated beneficiary dies first. 1997-98 – Won a unanimous ruling from the state Supreme Court on a lawsuit challenging the way the Health Care Authority set premiums for the Uniform Medical Plan for retirees on Medicare from July 1, 1988 through December 1994. RPEC negotiated a settlement that returned $42.5 million in overpayments to the affected retirees, an average of $1,500 per eligible retiree. 1996 – Successfully worked for legislation authorizing the Health Care Authority to establish a long-term care program. 1995 – Established the Uniform COLA ensuring that every PERS 1 retiree who has been retired at least a year receives a COLA at age 66. A minimum COLA of $3.00 per month per year of service was made permanent for those age 70 who have been retired at least five years. 1993 – Continued the 1991 “ad hoc COLA” through June 30, 1995, benefiting 9,100 PERS 1 retirees. Established a COLA of $3.00 per month per year of service for 8,000 PERS retirees who were age 70, had been retired at least 5 years and were not already receiving a COLA. 1992 – Initiated legal action against the state, challenging the manner in which the HCA set Uniform Medical Plan premiums for retirees on Medicare. 1991 – Established a COLA for an additional 9,000 PERS 1 retirees who had lost more than 40 percent purchasing power before the 1989 COLA bill. 1989 – Established a COLA for retirees age 65 and over whose pensions had lost 40 percent of its original purchasing power. Secured a retiree position on the State Employees Benefits Board, now called the Public Employee Benefits Board, to provide a retiree perspective to the Health Care Authority in planning and administering the state’s health coverage plans. 1987 – Increased the minimum pension for retirees and established a COLA for an additional 6,400 PERS 1 retirees. Established the Joint Committee on Pension Policy to study and make recommendations on pension issues.